Toddler Signs is an exciting activity into learning through storytelling, games and songs in sign language. The Toddler Sign program is a perfect addition to the school programs that are also used in day-care. There are several reasons why young parents choose to use signs in the communication with their kids. Scientific research shows that a baby can understand and express much more than was previously thought. Babies acquire the ability to understand language long before their muscles enable them to actually speak. You can begin parent/infant communication starting at six months old by using signs, rather than waiting for comprehensible speech to develop at sixteen to eighteen months. The gap between children’s ability to understand language and speech production (much later) can be easily bridged with sign language. In preparation for elementary school, children used to attend day-care. Over the past few due to increasing costs of day-care facilities parents tend to more frequently nurse their kids at home. Thus the idea was born to develop the toddler program. The Toddler classes have been designed to meet the specific needs of children from 18 months to 4 years. 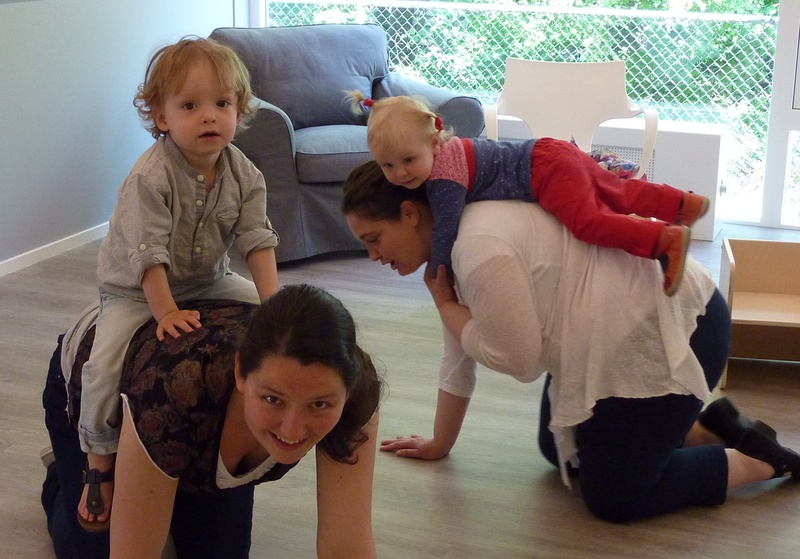 The various playful activities aim to stimulate and support children’s natural development. Activities vary week by week. They will also have lots of fun on the way! During the course ‘Toddler Signs’ we are working with themes that reflect the experiences of the children. Around these theme’s playful activities are offered to stimulate the child’s broad development. The signs will consequently be used in all activities, which will stimulate the communication process and have the benefit to learn from each other.